When you stay at Best Western Ambassador Motor Lodge in Pialba, you'll be by the ocean, within a 10-minute walk of Hervey Bay Historical Village Museum and WetSide Water Education Park. 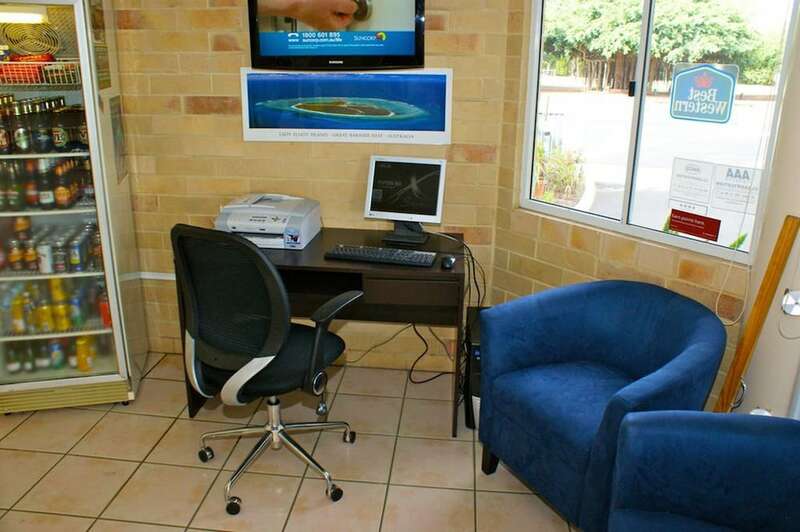 This motel is 0.8 mi (1.3 km) from Fraser Coast Cultural Centre and 1.7 mi (2.7 km) from Hervey Bay Golf and Country Club. Make yourself at home in one of the 21 air-conditioned rooms featuring refrigerators and LCD televisions. Complimentary wireless Internet access keeps you connected, and cable programming is available for your entertainment. Private bathrooms with showers feature complimentary toiletries and hair dryers. Conveniences include desks and coffee/tea makers, and housekeeping is provided daily. Take advantage of recreation opportunities such as an outdoor pool or take in the view from a terrace and a garden. Additional amenities at this motel include complimentary wireless Internet access, tour/ticket assistance, and barbecue grills. Satisfy your appetite for dinner at Ambassadors, a restaurant which specializes in international cuisine, or stay in and take advantage of the room service (during limited hours). Wrap up your day with a drink at the bar/lounge. Cooked-to-order breakfasts are available for a fee. Featured amenities include a business center, express check-out, and complimentary newspapers in the lobby. Free self parking is available onsite. One child 12 years old or younger stays free when occupying the parent or guardian's room, using existing bedding.